Our new puppies! Clockwise: Meiji, Mocha, MJ, and Mojo (who I have mentioned in this post). 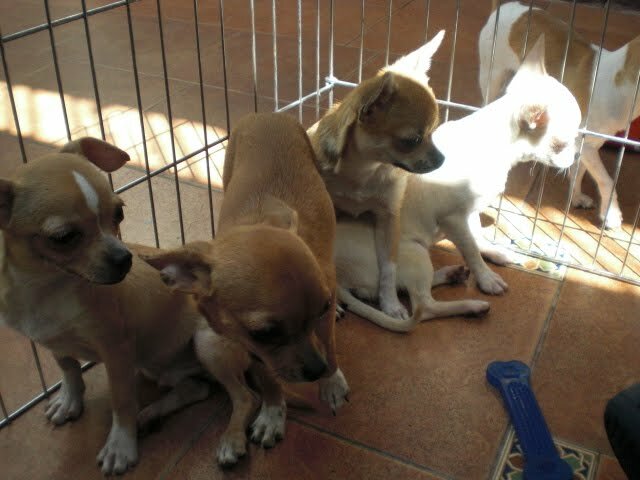 The four are puppies of Maggie, our chihuahua in Quezon City. Aren’t they cute? Meiji, like the chocolate, is very sweet and likes to be cuddled. Of the four, she’s the most outgoing. She kind of looks like Misty, our mini pinscher. Mocha’s really shy and likes to stay under the sun. She needs to, she’s so pale! I think MJ’s the cutest (she’s mine). Mojo is the only boy. 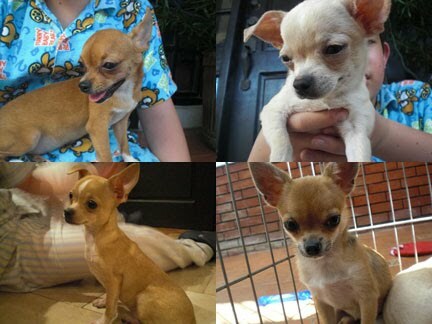 We now have six chihuahuas here in Las Pinas! Two more and I’m pulling off a Kate Gosselin!